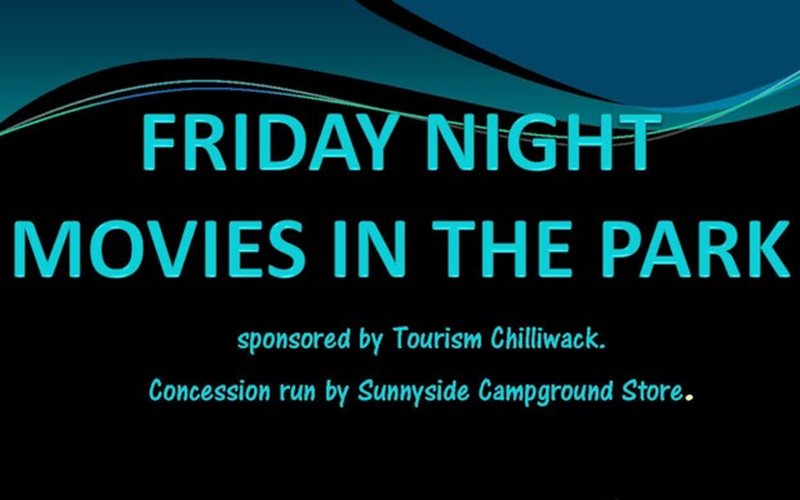 Don’t miss Friday Night Movies in the Park! On until August 12. Movies will be played at dusk by Gazebo C (Lot A) at Cultus Lake Park! Admission is free, don’t forget to bring your chairs and blankets to sit on! The concession will be run by the Sunnyside Campground Store.